Real Estate Experts is your go-to source for the best in age 55 and over communities in Cary, Durham and Chapel Hill. We are well-versed in every aspect of senior living, from downsizing to probate, to estate sales, and more. 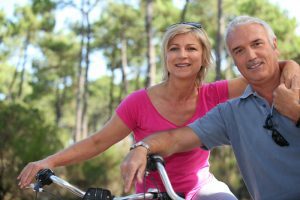 We can guide you through a customized plan based upon the specific needs that will enable you to find the ideal community to enjoy your golden years. Listed below are some of the best 55+ neighborhoods and retirement communities in Chatham County, Chapel Hill, Durham, and Raleigh. Click on the link to find out more information about each community. Click the links below to see the exact location of each over 55 community and to see active and sold listings. The Village at Aversboro – Garner, NC near White Oak Shopping Center and Timber Drive. The Courtyard of OKelly Chapel – Cary, NC in Chatham County between Chapel Hill and Interstate 540. The Orchard Villas – Apex, NC just south of highway 64 and east of Jordan Lake. Regency at Brier Creek – Raleigh, NC very close to the Brier Creek Country Club.